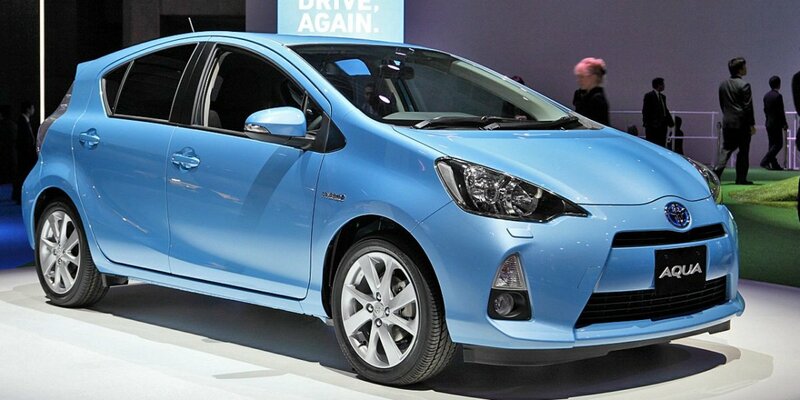 So you broke down and bought a new car, either a total electric or a plug-in hybrid. Either way, it needs to be plugged in and charged, but that isn't always so easy or cheap. Your car will have a charger with it, but it would sure be nice to have a dedicated one at home, leaving the OEM charger in the car for possible use when you're not in your own garage. But which one to buy? 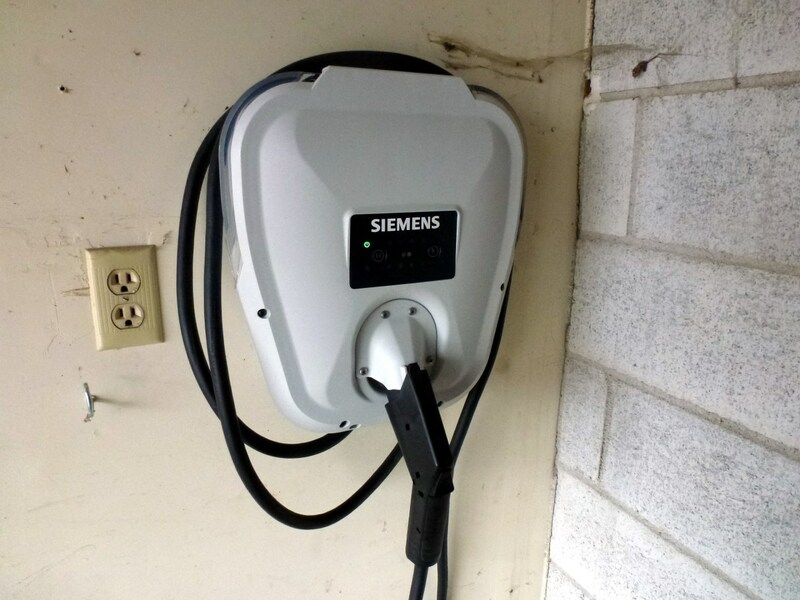 There are several options, from another OEM charger that plugs into a normal 110 volt outlet to a 240 volt charger that will provide a full charge in just a few hours. Do you need one that can be exposed to the weather or will it be inside a garage? Can it be mounted near the normal parking spot for your car or will you need a longer than normal cord? There is another question that few people consider as well - something called "Time of Day" electric usage. 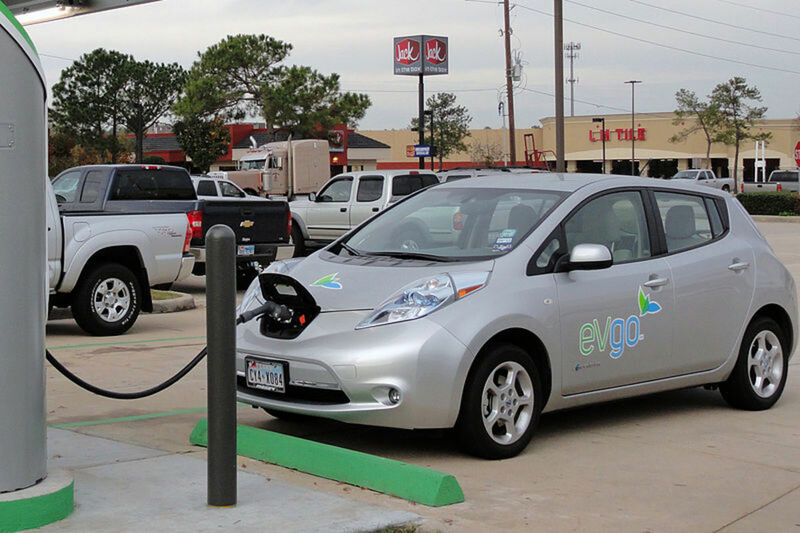 Do you anticipate purchasing an electric car in the future? Large corporations, factories, and other users of large amounts of electricity have long had the opportunity to have their electric bills calculated based not only on how much power they use but what time of day that use is. With increasing technology, that opportunity is beginning to be found in household use as well, although it is not universal by any means. You will have to check with your local electric utility to find out, and to find out what the difference in cost might be. The photo at the top of this article is of a Chevrolet Volt, a plug-in hybrid, that was purchased online but is owned in Boise, Id. where a Time of Day fee structure is available for most homeowners. 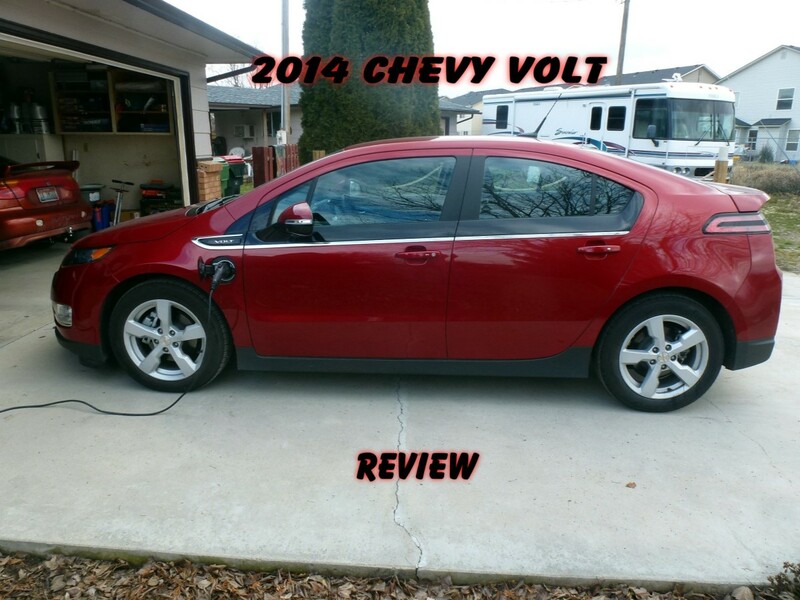 The Volt has a built in capability to take advantage of this, delaying charging until off peak hours (defined by the owner) and the savings can be substantial. The local fee structure is around 7 cents per kilowatt-hour for off peak usage and 9 cents during peak periods in the winter. In the summer it changes to 7 cents and 12 cents. 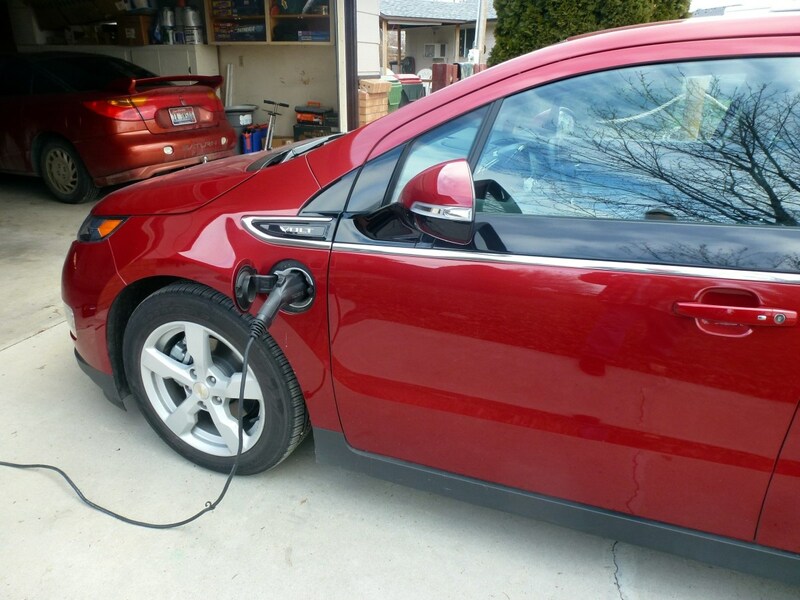 The Volt pictured needs about 17 KWH (kilowatt-hours) so at 7 cents it costs about $1.19 while at 12 cents the cost rises to $2.04. With gas prices at $1.80 (that won't last!) it is cheaper to buy gas! Other areas will differ: Excel, servicing Wisconsin, says off peak charges are about 7 cents while on peak is around 21 cents and some of Texas offers zero charge off peak usage but with a monthly fee for the service. Careful examination of the schedule and past usage is needed before joining such a plan as on peak charges may be higher than the normal residential plan. The obvious solution is to charge only at off-peak hours, from 9 PM to 7 AM, but that has a problem as well as the Volt needs over 10 hours to fully charge at 12 amps from an ordinary wall plug. 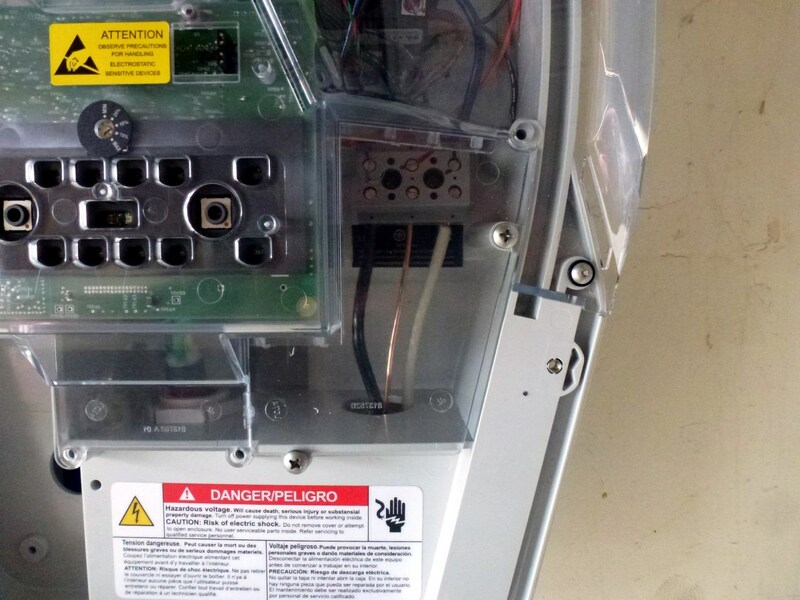 A circuit that may also be running a few lights, a freezer or water softener or other items. 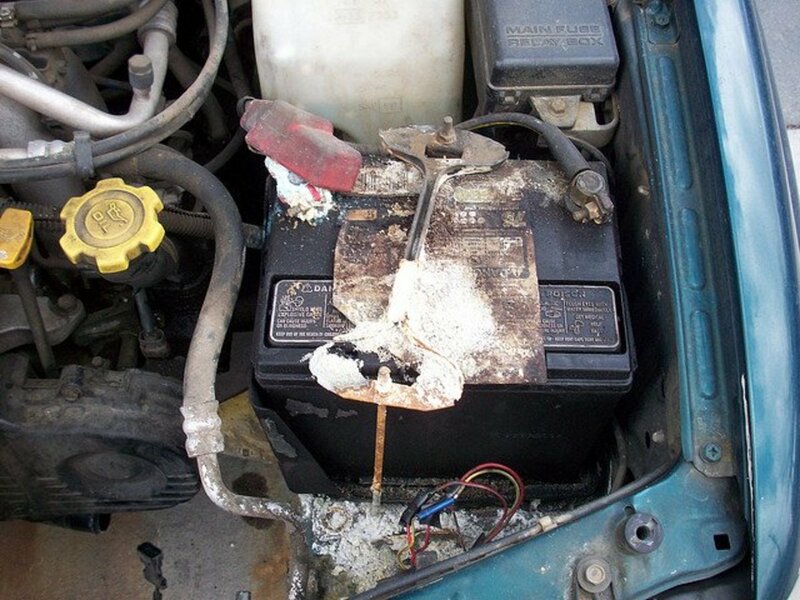 Plugging the OEM charger in may well trip the circuit breaker unless the car is instructed to use only 8 amps of current, whereupon it will not get a full charge. A 240V charger, on the other hand, does not have this liability as it is a dedicated circuit and can handle a much higher current draw. First on the list is another 110V charger that can be plugged into an ordinary 20 amp, or even 15 amp, wall circuit. The cheapest of the three, it also does nothing to encourage off peak charging and will take many more hours to achieve a full charge. It is probably not a reasonable choice for a full electric vehicle simply because of this; it could well take well over 24 hours to charge a total electric car because of it's large battery capacity. 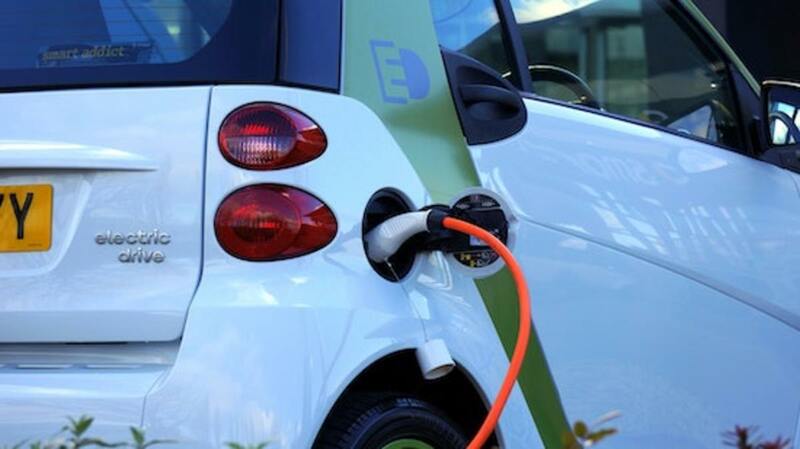 Such a charger may well be reasonable choice for the owner of a plug in car that commutes just a few miles per day, however, and it is the cheapest of the three. While the OEM charger that came with the Volt lists at over $600 from Chevrolet, these after market chargers are much cheaper although a little difficult to find. There are two types of level II chargers, providing two different levels of current. The first is a 16 amp, 3.3 KW charger. It requires a 240 V dedicated circuit with a 20 amp breaker and is thus a little cheaper to get power to. The Volt will charge fine on this charger, as will all but the most power hungry cars, and in a time frame of only about 4 or 5 hours. The downside is that it is limited to 3.3 KW - as cars improve and batteries grow over the years it could well be insufficient. The Tesla, for example, can be purchased with a 100+ KWH battery, which would require over a full day to charge and in a few years batteries of this size may well become common. These chargers are a good sized investment and while a few dollars can be saved by going with the smaller size it may be a poor choice for future cars. These chargers are available for both indoor and outdoor use - make sure that you don't purchase an indoor unit to mount outside. 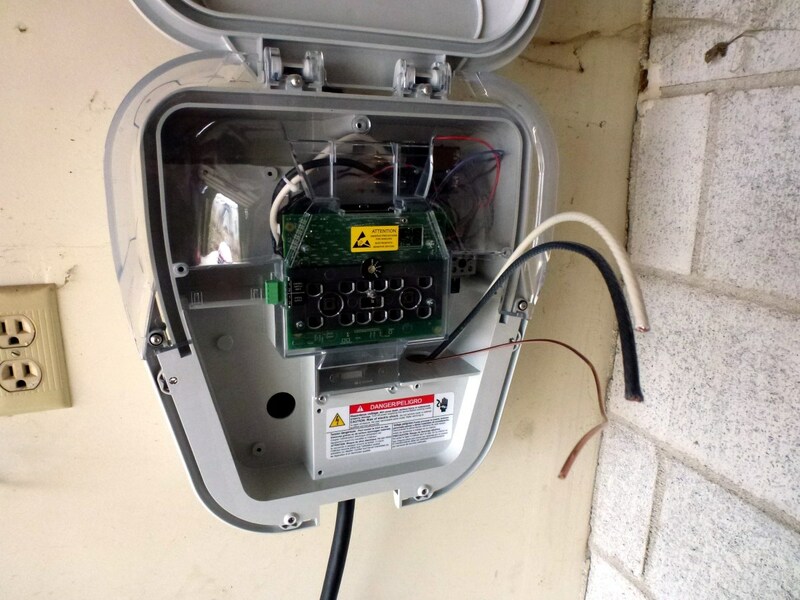 The listing below is for a NEMA 3R enclosure, which is intended for outdoor as well as indoor use. The second level II charger can operate at 30 amps, although the car will automatically lower that figure if necessary. It requires a dedicated 40 amp circuit, though, which is more expensive to install. The plus side is that the cost of the charger isn't that much more and it produces 7.2 KW of power. 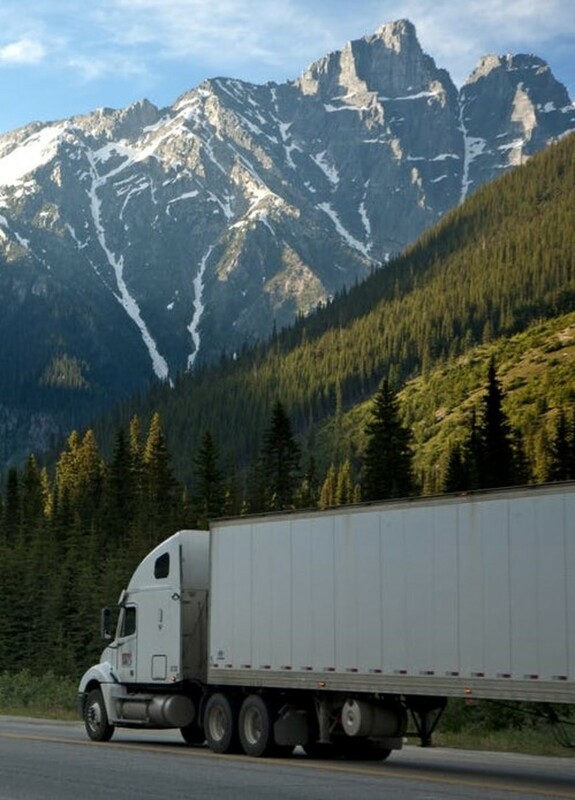 If your car won't accept that much (and it likely won't) then it will deliver only what the car can accept. The charger shown below is the one chosen for the Volt, and has performed admirably. If your car doesn't provide time of day charging as the Volt does, the charger has a variable delay feature that will delay charging for 2,4,6 or 8 hours - a feature that could pay off in the long run. The one purchased can only be used indoors, and is hard-wired rather than using a cord and plug to plug into a dedicated receptacle, but outdoor units are also available and they come with a cord and plug. Or a cord and plug could be installed into the charger for a minimal cost if it is anticipated moving it one day. 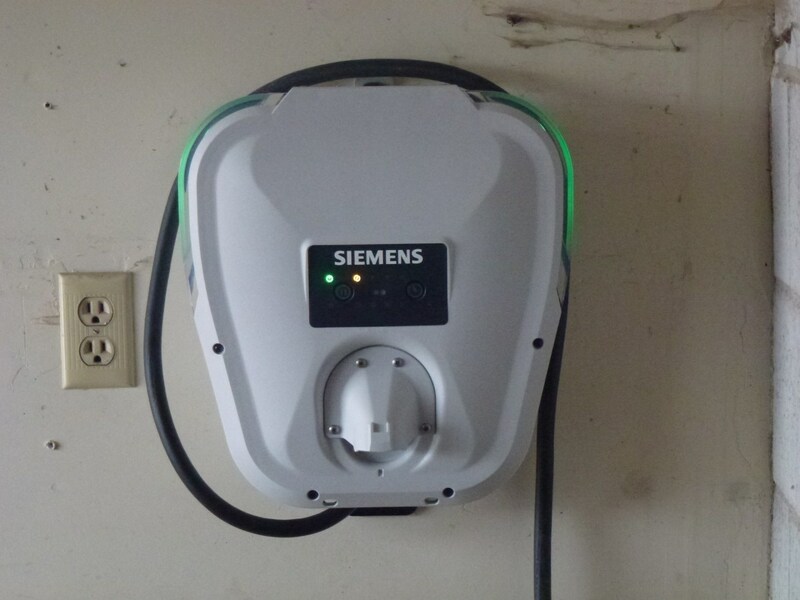 Although installing a new dedicated circuit into a home is beyond the scope of this article, the installation of the charger was simplicity itself after the circuit was finished. 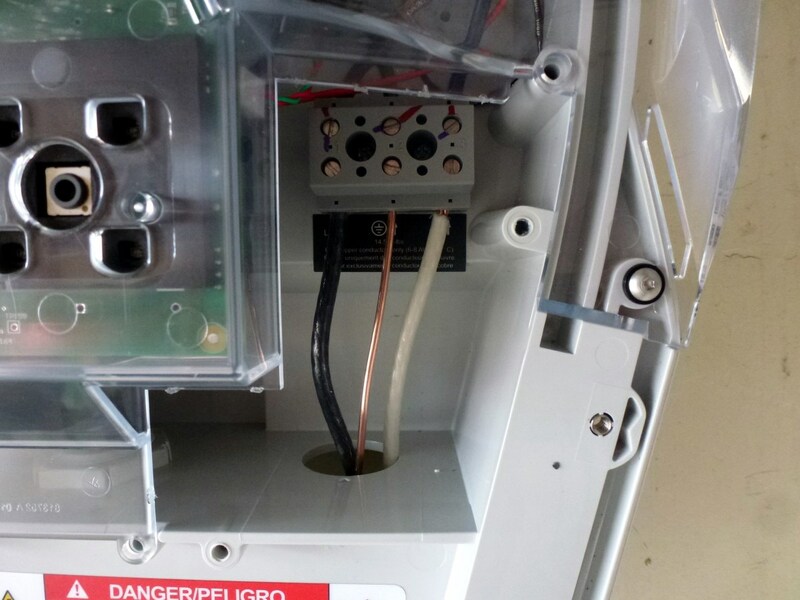 This author is a professional electrician, but adding a new circuit into your panel breaker box is not something to be attempted by the average homeowner. There is just too much that can go wrong, including severe shock and fire - for that reason the reader is strongly urged to hire a reputable electrician to provide the circuit. Once the circuit is installed, however, the story is different. Even if a hardwired charger is to be installed, the wiring of the charger is very simple and well within the capabilities of most homeowners. This job begins, then, with the circuit installed and wire pulled to a either a new junction box on the wall or a 6-50R receptacle installed into that box. The description and photos are for a hardwired charger; one with a cord and plug would be just that much simpler. 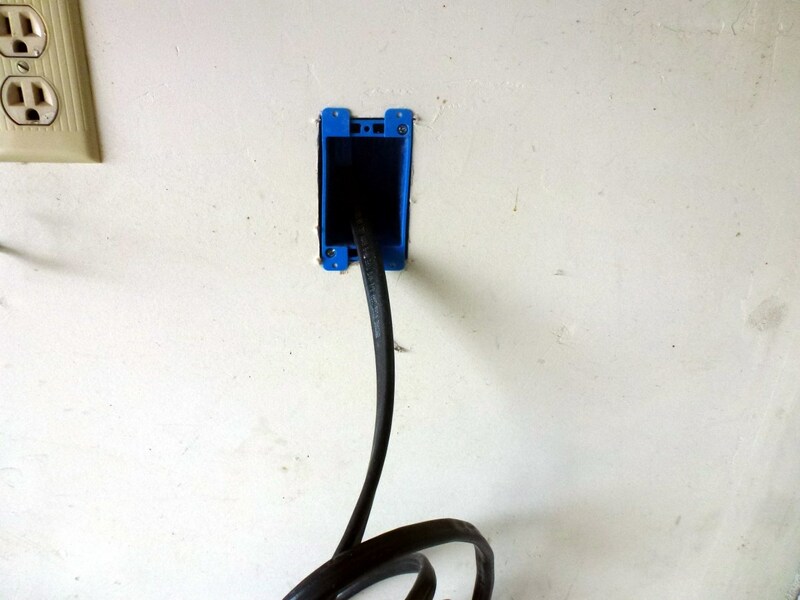 The charger was held to the wall to determine a general placement sufficient to cover the new wall box. 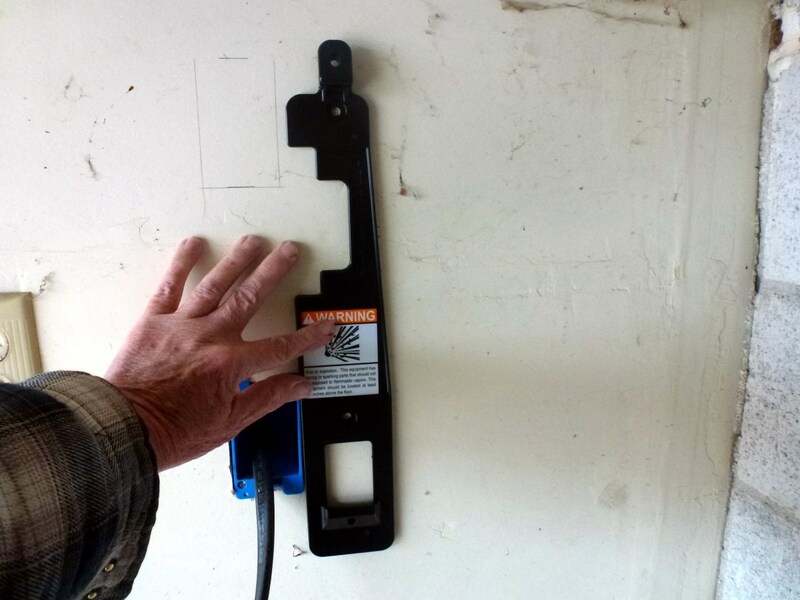 Using a level the charger bracket was held in place and the wall marked for drywall anchors. A product called "zipits" was used; they are rated at 50 pounds each (100 for two of them) and as the charger weights only 15 pounds will be more than adequate. 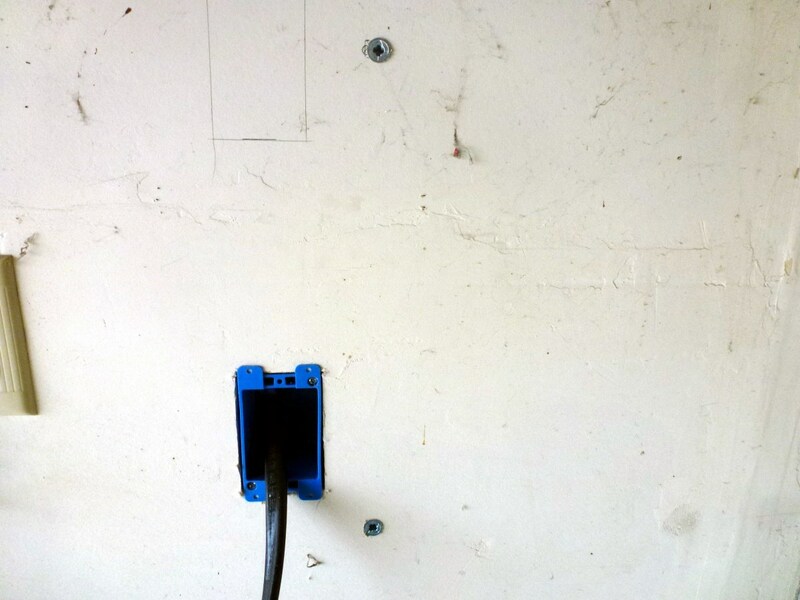 The bracket was fastened to the wall, and wire fed through into the wiring cavity in the charger. 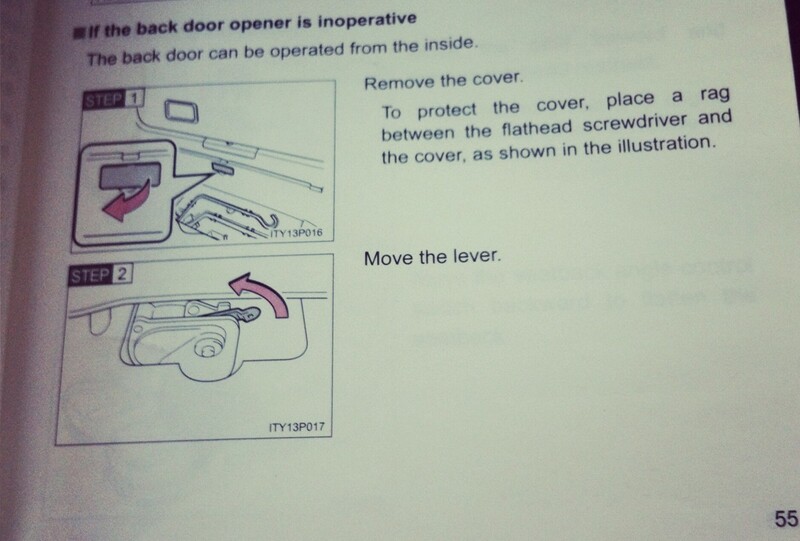 Make sure the power is turned off during this operation! 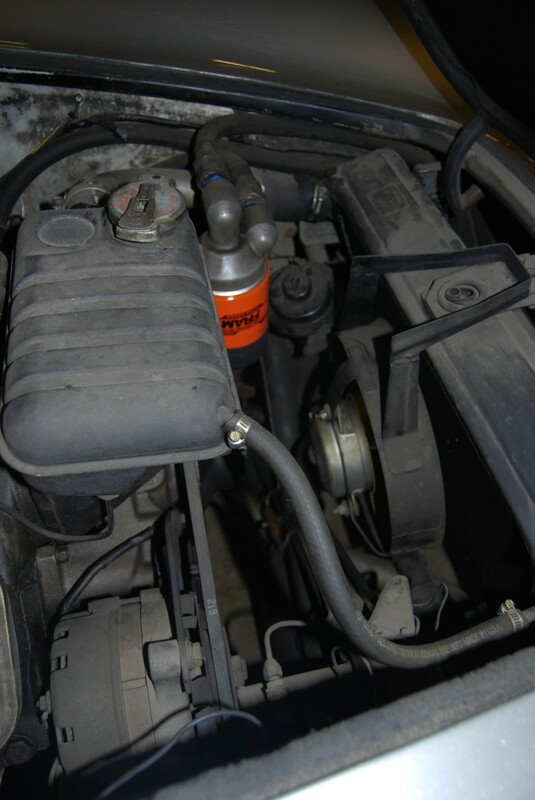 The charger is then slipped into place on the bracket and the wires inserted into the wiring recess inside. The ground is plainly marked, and this is the wire bare of insulation; on this charger it is the center lug. The other two black and white wires are interchangeable and it doesn't matter which wire goes to L1 and which to L2. 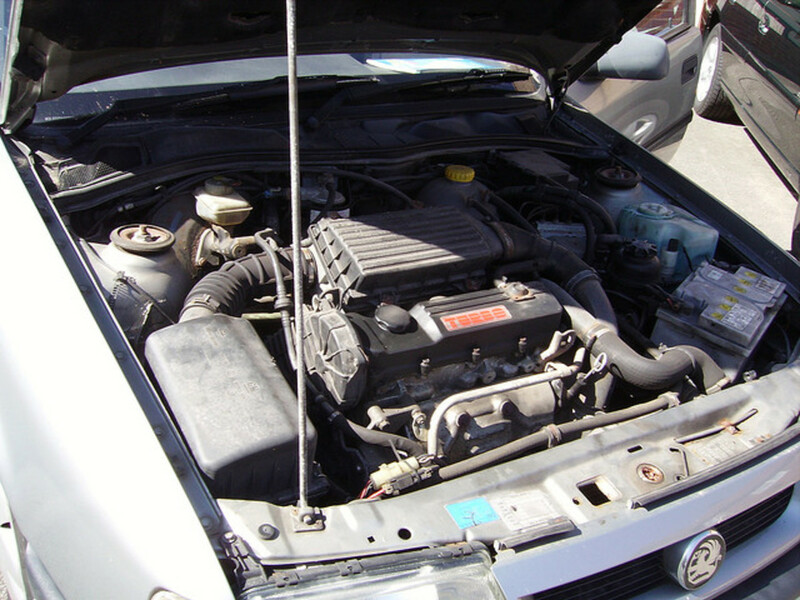 A small plastic cover was replaced over the wiring junction and the front cover replaced. The job is complete at that point and all that is left is to turn the breaker on and plug it into the car!